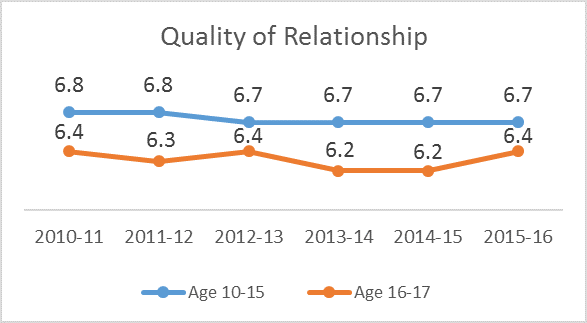 The following graphs outline a trend for the time period of 2010-2011 to 2015-2016 for 5 service performance indicators from data collected through Ontario Children’s Aid Societies (CASs). 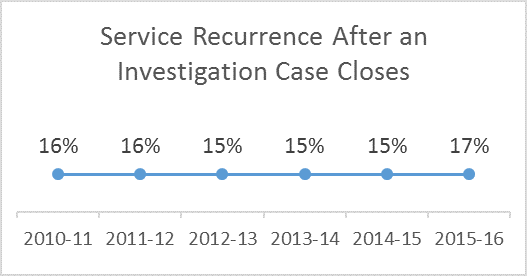 The percentage of family cases closed at investigation in a fiscal year that were re-investigated within 12 months after closing and where the child protection concerns were verified. 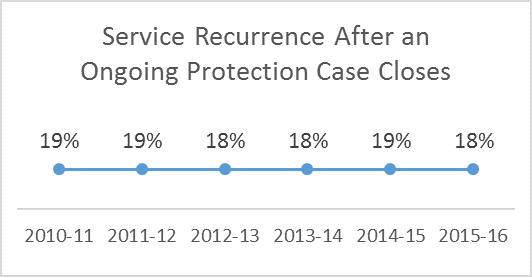 The percentage of family cases closed at ongoing protection in a fiscal year that were re-investigated within 12 months after closing where the child protection concerns were verified. 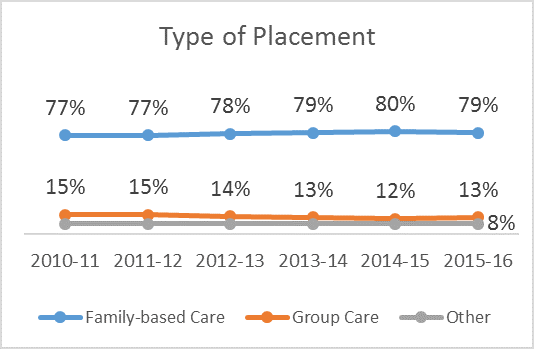 For all children admitted to the care of a Children’s Aid Society, the days of care provided in the fiscal year, by placement type (i.e., family-based care versus non-family-based care). 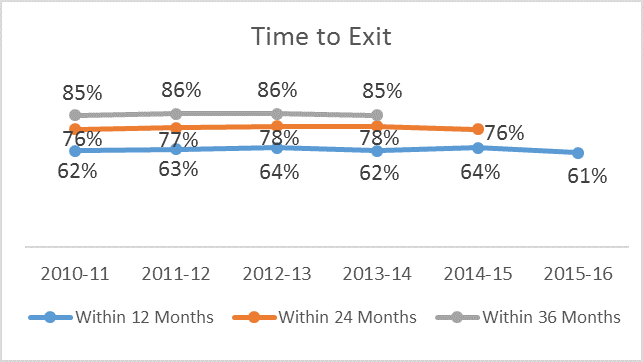 For all children admitted to the care of a Children’s Aid Society during the fiscal year, the cumulative percentage discharged within a specific time period (i.e., 12 months, 24 months and 36 months since admission). The average score for children in care (aged 10-17) from a standard scale that measures a young person’s perception of the quality of the relationship with his or her primary caregiver.